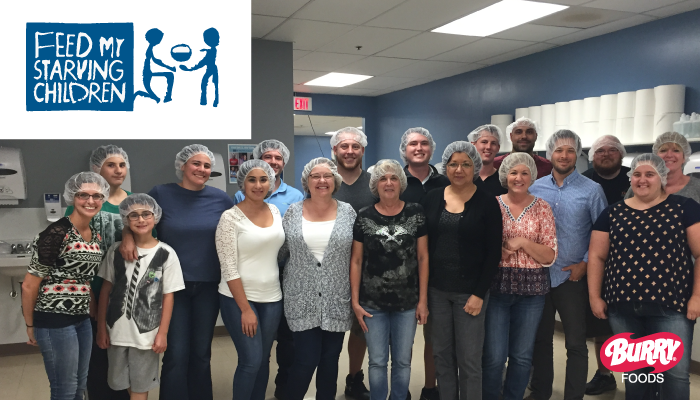 On Tuesday, August 23, 2016 Burry Foods & Simple Logistics employees joined forces and packed meals for Feed My Starving Children in Aurora, IL. The team helped pack enough meals to feed 38 children for an entire year. Meals packed that evening were to be sent to Haiti and El Salvador.